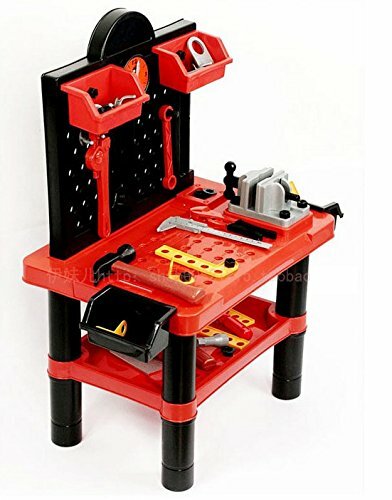 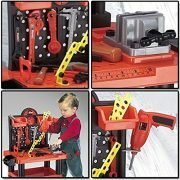 this kid’s construction tool bench and tools will bring out the handyman in any child. 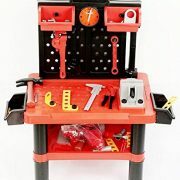 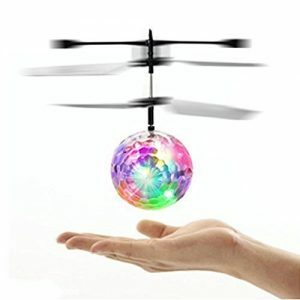 Easy to assemble with lots of little tasks to do, it is sure to keep them busy for many hours of DIY fun! 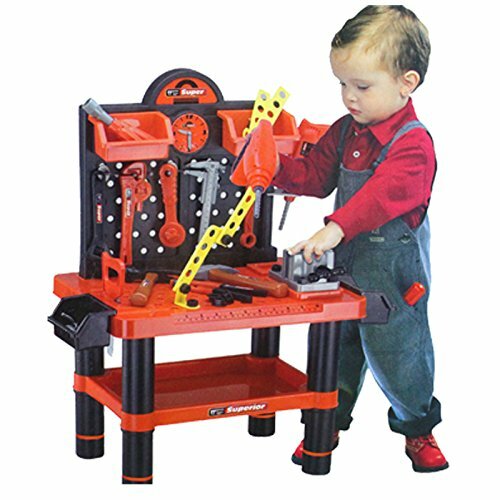 Playset comes with loads of tools such as a spanner, pliers, wrench, hammer, play saw and more! 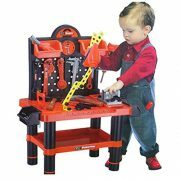 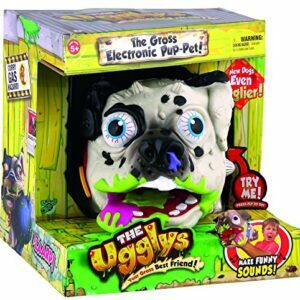 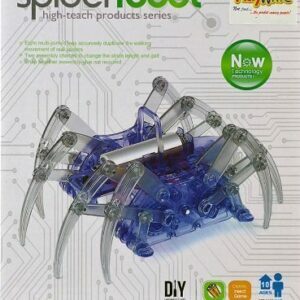 Also included is handy play drill for realistic play time. 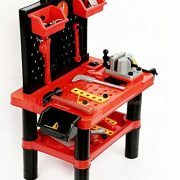 Table has shelving and storage compartments to store all their tools, as well as a fully customisable tool board. 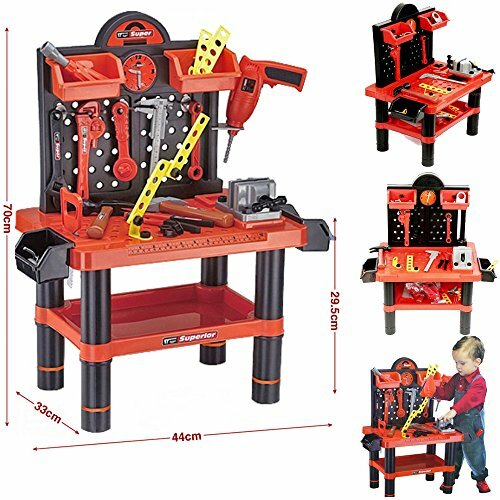 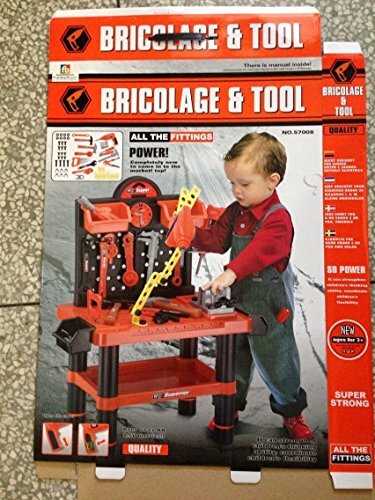 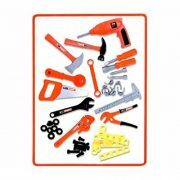 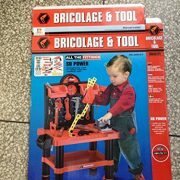 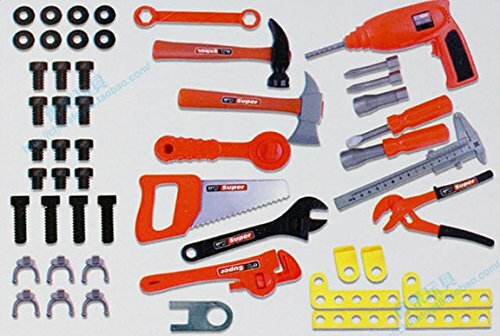 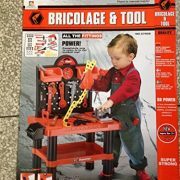 The Bricolage & Tool Play Set is suitable for children age 3+ years. 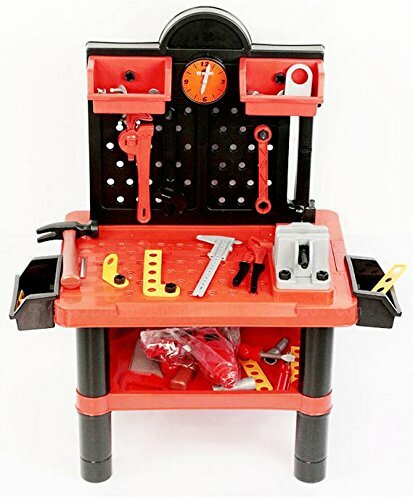 The set comes flat box packed and requires self assembly. 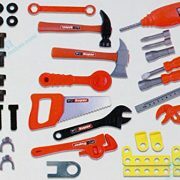 Specifications, colour and content may vary from illustration. 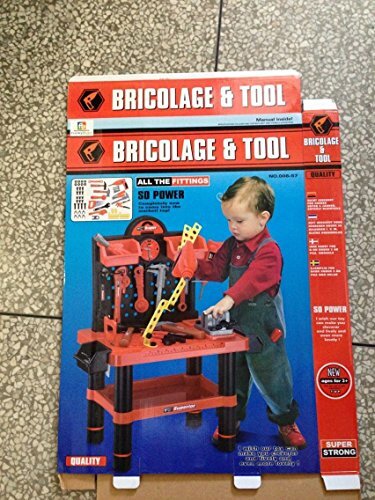 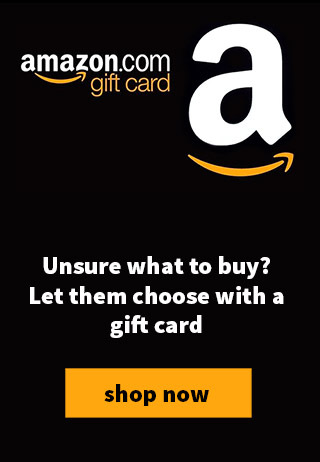 The drill requires 2 x AA batteries that are not included. 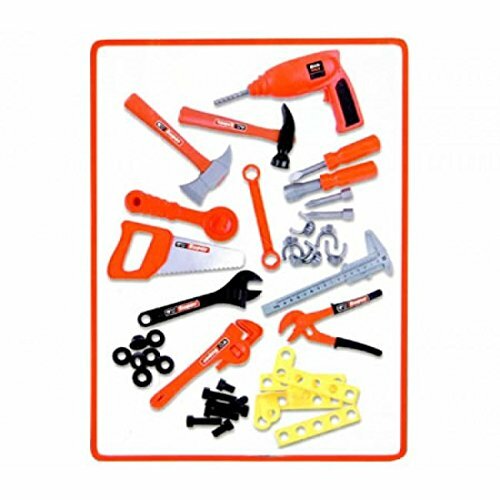 Bright orange and black in colour with ample working space for creative minds. 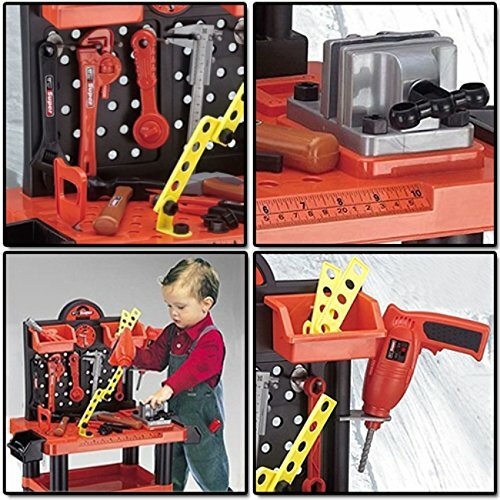 Perfect for pint-sized builder and junior mechanics with a passion for all this mechanical.